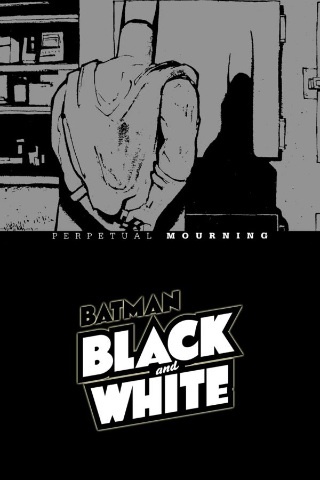 Batman: Black & White are a selection of free short comics available from DC on their iPhone app. All of the current five available are from Volume 1 of the series. The series is five black and white short stories, only about 11 pages long written by a variety of writers. #1 is called ‘Perpetual Morning’ written by Ted McKeever. It has Batman conducting an autopsy, and shows the more human side of the man behind the mask. I find that every so often there is a Batman issue like this, this is what Superman needs more of too! #2 – ‘Two of a kind’ is a Two – Face tale, written by Bruce Timm. Smartly done with crisp art. I like Two Face like this! #4 is my favourite – Neil Gaiman writes ‘A Black and White World’ where Joker and Batman are actors in a comic – directed by Lobo!! 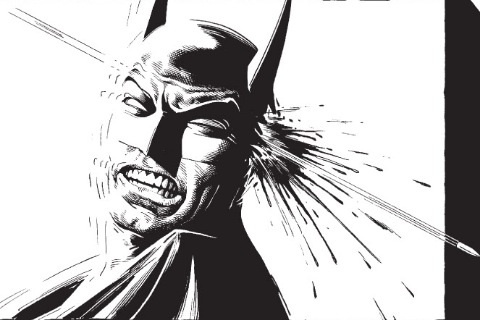 #5 – ‘An Innocent Guy’ is a chilling tale by Brian Bolland with some awesome art! â€˜Aloneâ€™ Page 16 is up on the Latest Comic Page!